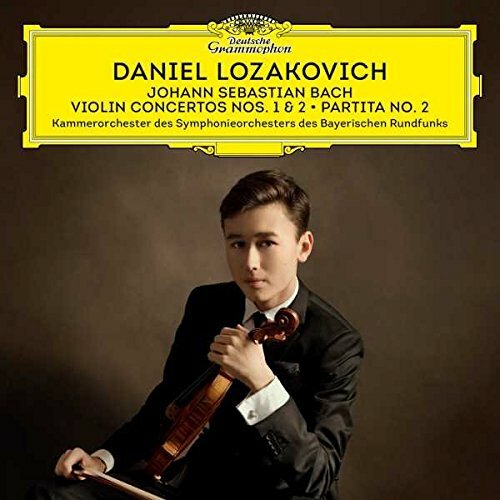 Deutsche Grammophon has today announced the release of 17-year-old VC Young Artist Daniel Lozakovich‘s debut album: J.S. Bach: Violin Concertos Nos. 1 & 2 – Partita No. 2. Recorded with the conductor Radoslaw Szulc and the Bavarian Radio Symphony, the disc features Johann Sebastian Bach’s 1st and 2nd Violin Concertos – plus Bach’s 2nd Solo Partita in D Minor. “For me, without a doubt, Bach is my favourite composer … his music is so completely open and you have nowhere to hide … and it speaks to me so personally …” Daniel has told The Violin Channel. “I think Bach is the greatest composer in history … I believe he completely changed music in his day – and most probably served as the inspiration for all the great composers and works to follow,” he has said.